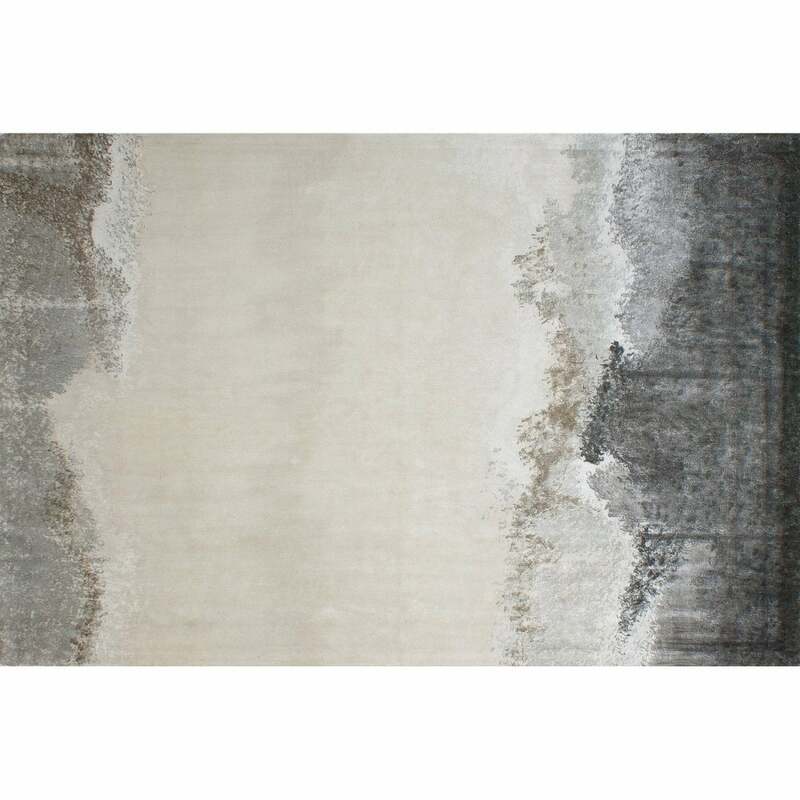 Reminiscent of a piece of art, the Land Rug by Serge Lesage features a watercolour landscape where calmness and serenity are paramount. The range of shadowy greys and silver are layered to form a painterly effect. These deep colours give way to a brighter area at the centre of the rug further enhancing the textural depth. A beautiful and sophisticated design, the Land Rug is crafted with the utmost care and precision. Hand-painted by skilled artisans, this stylish rug is finished with double backing for strength and durability. Made form 100% Viscose. Available in both standard and bespoke sizes. Get in touch with our team for more information.